Foot drop among a number of other neurological conditions. Our team of Orthotists have extensibe knowledge in treating these conditions using orthotics to improve gait, correct deformity and reduce pain that can be present with these conditions. 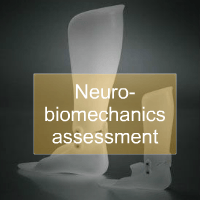 What happens in a neurobiomechanics assessment? 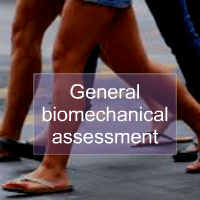 Much of the general biomechanical assessment is relevant within assessing patients with neurological conditions. The big differences are related to changes in muscle tone that take place with many of these conditions. Increased tone (spasticity) or flaccid paralysis often cause problems on movement and an understanding of this is required to understand the primarey reason for any altered biomechanics. 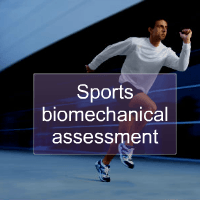 How can orthotics improve biomechanics in these conditions? Cerebrovascular accident (stroke):- Following a stroke the movements of the body can be affected often on one side in particular (hemiplegia). The issues for patients following stroke are often related to increased tone or spaticity of the muscles meaning it can be difficult t control movements of the body. In particular the arm and leg can be affected where the arm tends to be bent at the elbow and wrist and pulled up toward the body. The leg often in walking tends to have difficulty as the foot points downwards (foot drop) due to spasticity. Normal biomechanics is lost as the foot cannot clear the ground when swinging through, and when weightbearing, the forefoot make contact first and the knee leans back (knee hyperextension). Ankle foot orthotics (AFO's) are designed to re-position the foot in both swing and stance phase, helpng the foot move in a more controlled fashion. It is important that the Orthotist has a good understanding of biomechanics and that custom made ankle foot orthotics are used to control the biomechanics very precisely. Cerebral Palsy (CP):- Cerebal Palsy refers to a group of conditions which present in children at or around birth. In general terms the issues can be similar to a stroke however can present in a greater variety of different ways. Movement of the legs and arms can be affected and often spasticity or increased tone is also present. The big difference between CP and stroke is that children with cerebral palsy have the added complication of growth and development coupled with managing spasticity. The same biomechanical issues are present as in stroke but the Orthotist, must also consider the effect of growth which further complicates the orthotic management. 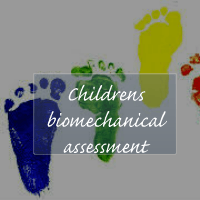 Any Orthotist needs to have a good understanding of child development, before treating patients. Ankle foot orthotics (AFO's) and Dynamic AFO's (DAFO's) are used in a variety of different ways to treat and help improve movement and prevent deformity particualrly as children grow. Polio:- Polio often causes flaccid paralysis and as such often muscle wekaness is present. The most common issues are foot drop, and knee control are the main issues for orthotics. Ankle foot orthotics (AFO) and Knee ankle foot orthotics (KAFO's) are often used to allow patients with the affects of polio to walk about more easily. Spina Bifida:- Like polio, flaccid paralysis is usually presnt to a greater or lesser degree dependant on the level of the spine affected. The other difference is that sensation of the limbs are likely to be compromised meaning any orthotics must be an excellent fit on the leg to help facilitate walking with orthotics.